The Elastix call center module is designed to make inbound and outbound calling campaings, allowing the interaction between agents and telephony subscribers. The module includes a predictive dialer that handles the automatic call of “objective” numbers. We are capable of establishing an efficient environment on your organization with the addition of many features that allows to integrate other locations of your company to centralize your business and take it global. A user in your corporation located in South America shares the same functionalities of another located in Asia besides having direct internal communication. A conference bridge allows a group of people to participate in phone call. 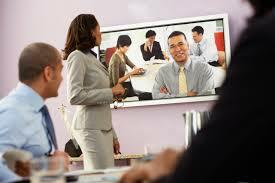 The most common form of bridge allows participants dial into a virtual meeting room from their own phone. Meeting rooms can hold dozens or even hundreds of participants. Conferencing is the core of collaboration and enables distributed or virtual teams. Combined with VoIP connectivity for remote workers, conferencing makes it simple and affordable for a team to function across a diverse geography.